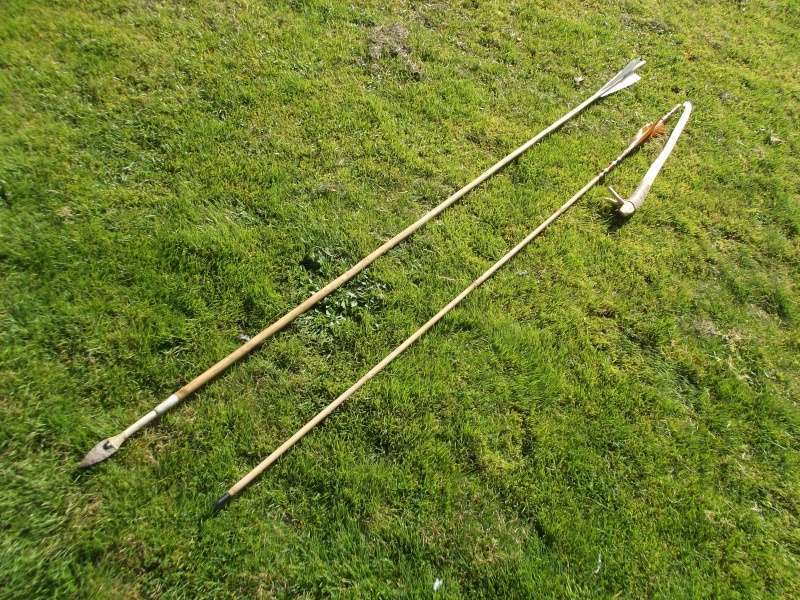 Spear thrower, atlatl or woomera? They are all the same, a stick that elogates your arm and adds much more power and distance to a throw of a spear or dart. Plus they are great fun. I'll post a pic or two when servimg stops playing silly buggers. 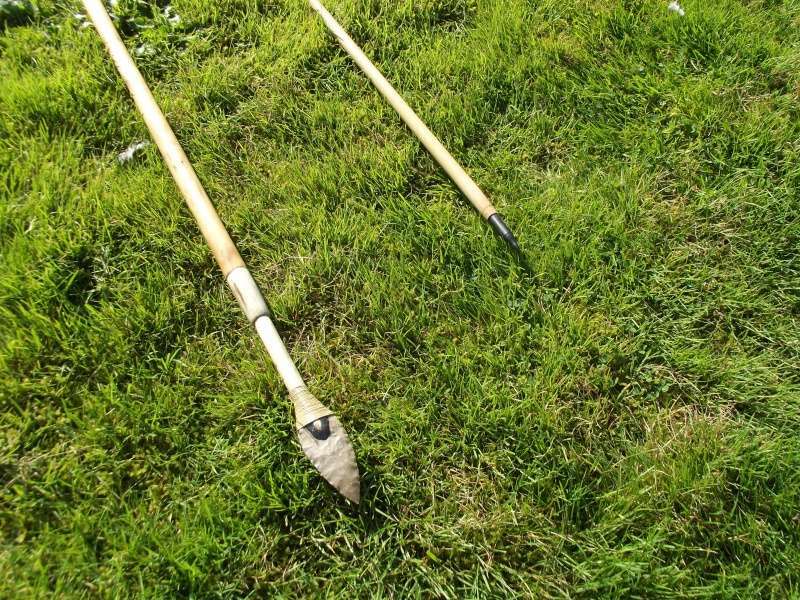 Re: Spear thrower, atlatl or woomera? 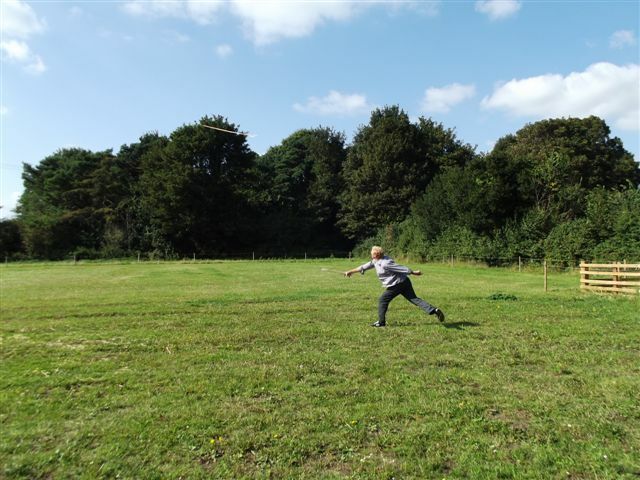 It was great fun hurling the dart as far as you could, best shot was around 50m! We didn't bother with a target. That looks fun, i just wouldnt want to be on the recieving end. Now you just have to go into production of these things and start selling them to Olympic javelin contestants. Rearing piglets? isn't that illegal?! Tried throwing the dart without assistance and it went about half the distance. mr.hertzian cone wrote: Rearing piglets? isn't that illegal?! A slightly out of focus pic of how the bone hook fits into a little divot in the back of spear.
" />Well eventually the bone tip got broken. So this was the flint replacement with a foreshaft of ash. 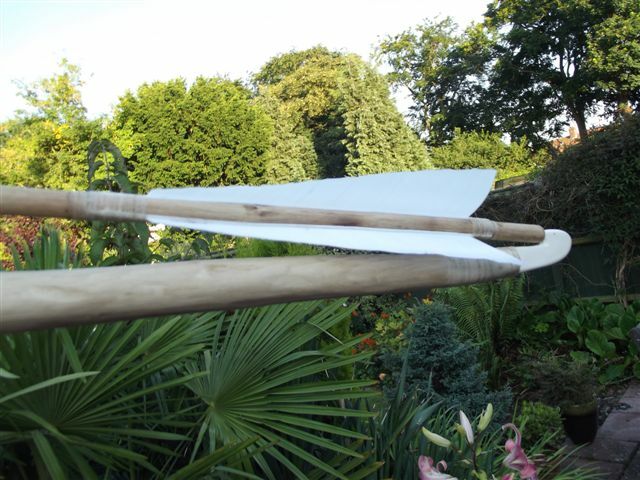 The other one is another bamboo dart with a standard archery field point fitted. A close-up, the binding over the flint is of fine hemp string soaked in regular white wood glue. 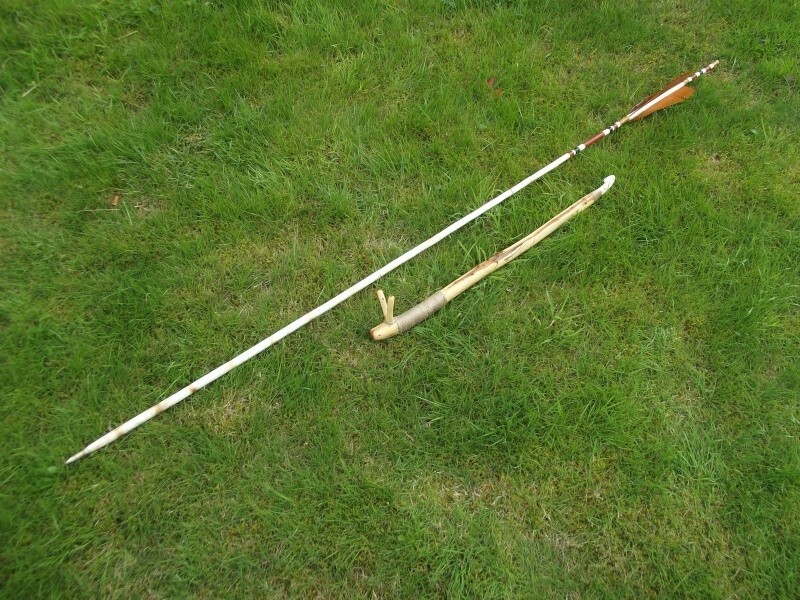 This is another one with a brass archery tip on a willow shoot. I wouldn't recommend willow as this one had a weak point just in front of the fletching which liked to bend every time it was thrown. 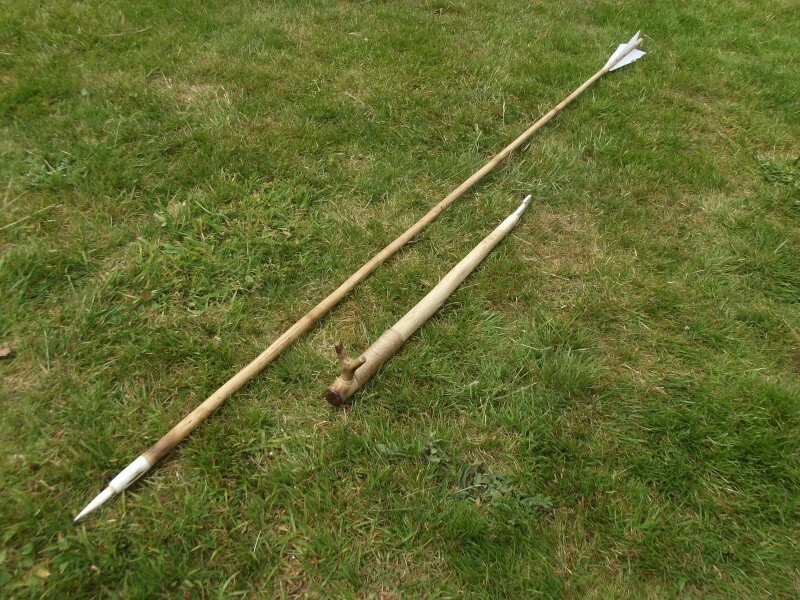 The spear thrower in this picture was made of yew with jute binding for the handle and sinew wrap for the bone hook. Very nice, you may now qualify as the British champion at the atl atl. in later use a small lead weight was added towards the tip end. An interesting shapes spear I found while researching Aussie stone tools. Could be the most artistic spear I've seen. Cool, I still wouldn't like to be on the receiving end though. It's quite short for an Aboriginal spear, maybe that is just the fore-shaft?